BroadSign International, LLC’s automated digital out-of-home software has been selected by Laysa Digital LLC for its transit network in Russia. 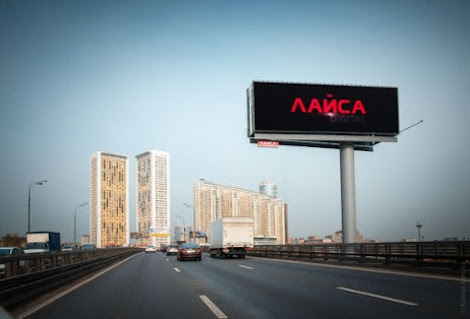 The initial conversion consists of 33 digital billboards on the busiest freeways in Moscow. Laysa Digital plans to grow its ad-based network of 5×15 meter LED roadside displays in Moscow and other key Russian cities. Clients already include Disney, Mercedes, Sony, Asus, Kinder and MasterCard. Laysa Digital LLC describes itself as a digital advertising technology agency, with services consisting of LED equipment supply, development of promotional materials and design documentation, content creation and campaign metrics.